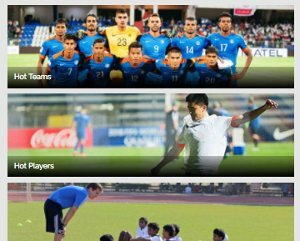 The FIFA U-17 World Cup sets the tone for the Indian Football season into 2018. The Ahmedabad City leg of Reliance Foundation Youth Sports school and college football championship was launched here on Friday, with the foundation chairperson Mrs Nita Ambani wishing the Indian team for the upcoming FIFA Under-17 World Cup to be held in India. "These are wonderful times for Indian football," said Mrs Ambani. "We have recently seen the Indian national team break into the Top 100 in world rankings after a gap of two decades. 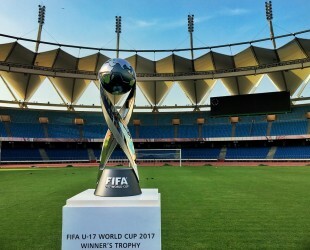 And now for the first time in the history of Indian football, India is not just participating in a FIFA World Cup competition but also hosting a full-fledged world football event. "I am sure our boys are proud of what they are about to achieve and so are we for them, as well as for the nation to be represented in the World Cup," she added. Mrs Ambani, who is steadfastly working towards making Indian football a major force with the Indian Super League initiative along with her football grassroots academy Reliance Foundation Young Champs, believed that the RFYS tournament will propel the growth of the beautiful game deep into the Indian heartland and will lay the foundation for tomorrow's champions. "We have over 60,000 kids playing this beautiful game in 30 centres across the country right now. By December this year, we would have reached out to over 6 million children through our football initiatives. It's heartening to see so much wonderful talent at our disposal. I am sure the day is not far when we can start competing as equals with top teams in Asia and the world," she said. Mrs Ambani, a proud International Olympic Committee member and the recipient of Rashtriya Khel Protsahan Puraskar 2017, took the opportunity to commit the Reliance Foundation to transform India into a multi-sports nation in the not too distant future. The goal is to build a grassroots sports eco-system in the country that will not only encourage youth to take up sport but will also provide every child a platform to nurture his or her talent. “Reliance Foundation Youth Sports has been conceived to reignite sports in schools and colleges,” Mrs Ambani said. “We are aiming to create a unified sports structure through RFYS and have a holistic plan for all major Olympic sports. We would like to provide a viable sports career opportunities for the youth of our country,” she added. Cheered on by hundreds of kids at the SAL Education campus in Ahmedabad, Mrs Ambani ceremoniously launched the second season of RF Youth Sports just before the inaugural match between SAL Institute of Technology & Engineering and Silver Oak College of Engineering & Technology. 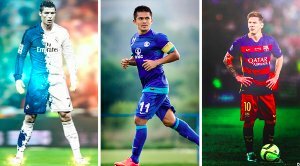 For Ahmedabad leg – the prestigious football championship will have 220 teams vying for the top honours in four categories ie Junior Boys, Senior Boys, School Girls and College Boys. The RFYS football tournament has already become the largest football grassroots effort in the country, with over 4,500 educational institutes and more than 60,000 children competing over the next four months. The championship which was held in the eight cities in the inaugural year will see participation from Bengaluru, Ahmedabad, Chandighar, Shillong, Aizwal, Imphal, Hyderabad and Jamshedpur as well this year. The competition is being played in four categories: Junior Boys, Senior Boys, Senior Girls and College Boys. City winner of each category will further compete at the Zonal Qualifiers followed by the National Finals to be held in January 2018.